The pistacchio tree grows and flourishes naturally on the slopes of the famous volcano â Etna â in Sicily. 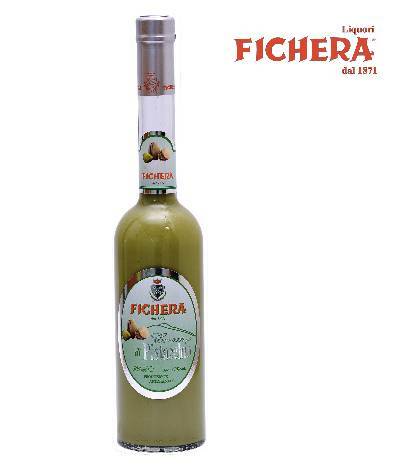 From the old and skillful traditional recipes of Commander Alfio Ficheraâs distillery, this cream of pistacchio liqueur was created, with the characteristic green of the original fruit, which is harvested exclusively from the Etna countryside. It is an excellent cream liqueur to accompany desserts, but also goes well with confectionery and home-made ice cream.